does Pynchon write good novels? Reading Pynchon — especially in the large quantities I am ingesting this holiday season — is a peculiar experience for this long-time lover of fiction, because, I find, I don't know whether Pynchon writes good novels. Indeed, it's not obvious that he writes novels at all. I do not doubt for a moment that he is a great genius and that his ideas reward all the attention you choose to give them; I’m not questioning that; every step further into his fiction reaffirms that judgment; but his books are very peculiarly made and I can't say with any confidence whether they are well made. I could only make such a judgment if I were confident that I know precisely what Pynchon is trying to do, and I lack that confidence. Some critics have argued that Pynchon writes Menippean satires rather than novels, and I'm sympathetic to that argument — indeed, I have said the same about C. S. Lewis, who shares with Pynchon an interest in the drama of ideas and tends also to create characters who are embodiments and mouthpieces of ideas. Northrop Frye's comment that "the novelist sees evil and folly as social diseases, but the Menippean satirist sees them as diseases of the intellect" is exceptionally pertinent to Pynchon, I think. But even granted that genre identifier, I still find myself in a constant state of puzzlement about what Pynchon is trying to do at any given point in any given book. I’m in Vineland right now, and I’m finding, to paraphrase what someone famously said about Wagner’s operas, some magnificent moments and some really brutal half-hours. So, to cite a fresh example, why, why, in the middle of the book, do we get page after page of the adventures of Vato and Blood, the proprietors of V&B Tow? They have, as far as I can tell, absolutely nothing to do with anything — they’re just what, in a review of Against the Day, Louis Menand calls “Pynchonian wallpaper.” It gets tiresome enough in a 400-page book like Vineland, so I am trying to prepare myself for dealing with it in a book three times as long. Now, let me make a distinction here: also in Vineland we hear a good deal about birds — never at the forefront of tha narrative, but often in the background, eating dog food or watching, from outside a window, what this book invariably calls the Tube, or being alarmed by human violence, or whatever. At the moment I have no firm idea why they’re there, and I may never feel that I’ve figured it out, but there is clearly some purpose to their frequent appearances. I can say the same about Pynchon’s use (elsewhere but esp[ecially in this book) of multiple levels of nested flashbacks. But Vato and Blood’s inability to sort out the lyrics of the songs they try to sing together? Useless crap, as far as I can tell. Maybe that useless crap was fun to write, though. Reading Pynchon, I think that he always has some very clear sense of what a given book is fundamentally about, what he wants to accomplish with it, but I also feel that he just indulges himself sometimes, in a what-the-hell-I’m-Thomas-effing-Pynchon spirit. And if so, then that makes his books less well-made, less coherent and beautiful as aesthetic objects. 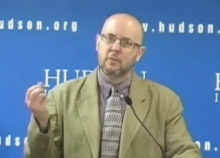 I once heard the philosopher Nick Wolterstorff comment that his sense of what makes for a good, strong argument was shaped by his having come from generations of woodworkers and cabinetmakers, arts in which he himself was instructed: a sound argument for Nick needs to fit together precisely, to have smooth and tight joints. 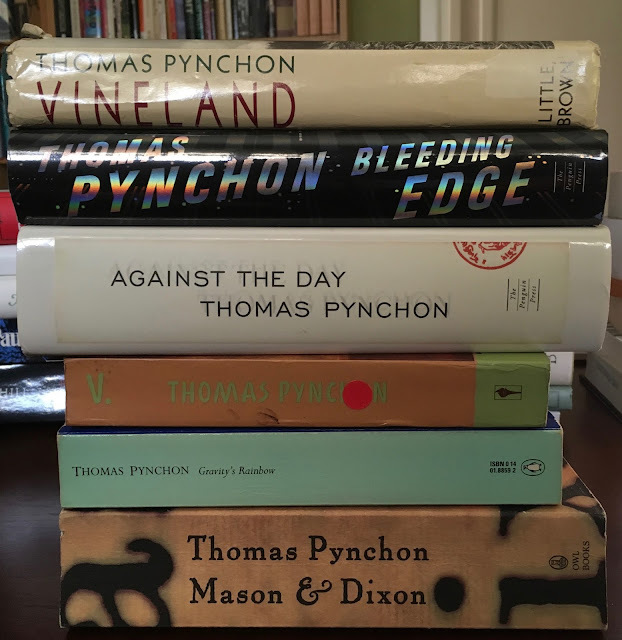 No image could be less appropriate to a Pynchon novel, which seems to be thrown together any which way and yet clearly rises to a towering height and shows no signs of toppling over. Which is another way of saying that the techniques of artistic making employed by Pynchon are obscure to me: Not only am I often confused about what he’s trying to do, I can't even see what tools he’s using to do it. In his great book on Joyce’s Finnegans Wake, John Bishop cites a comment by friend of Joyce’s who was helping him insert ever more obscure foreign words into the text, but whose suggestions were sometimes met by a pause, and then: “I can’t use it.” Bishop notes that this enigmatic response suggests that Joyce’s methods were “darkly principled”: he had a thought-out rationale, but it wasn’t one he was sharing even with those who had come to help him. I can’t help wondering if many of Pynchon’s most inexplicable passages aren’t also and equally “darkly principled.” But even if they are, in a hundred years I could never guess what Vato and Blood are doing in Vineland. I must confess that I cannot even remember Vato & Blood. But in general I feel that Pynchon's shaggy dog humor is a way of staying sane within the darkness of his novels. Presumably neither the Tristero nor IG Farben approve of terrible puns. Another thought: I read _Don Quixote_ many years after reading Pynchon (random, I know) and thought, "Oh, that's where he got the idea of interpolating all those terrible songs into a novel." _Don Quixote_ feels coherent and yet there's a lot that one could prune out of that book as well. As someone who thinks Mason & Dixon is his masterpiece, I get your anticipated worry about its own digressions, but I find that none of it strikes me as similarly pointless; the historical texture of the digressions really brings the book to life. I've a nagging suspicion that those who understand Pynchon are members of an underground courier service, passing secret messages back and forth between their fellow understanding members, while we wee outsiders are able to detect very little of the messages, and decipher even less. C.L. : I can neither confirm nor deny. Freddie, I totally agree about M&D, which has since I first read it been my Favorite of his books -- we'll see whether I have an inclination to revisit that when I'm done with this re-read. Also: Vato and Blood have a significant role to play after all, one that I had totally forgotten. I still think TP wastes too much time with them. I've thought this myself about Pynchon; I daresay most dedicated readers of his fiction have thought a version of it. 'Self-indulgence' we might call it, you're right: except that there's so little of Pynchon's self in his writings, or his public persona. If I were pressed to justify it, I might bring in the musical analogy: learn to play a Mozart sonata, as I did when a kid, and you pick out the simple and beautiful through-line melodies with your fingers, but you also learn you have to add in lots of intricate fiddly grace-notes. Pynchon, it seems to me, is interested in reversing that order, and in making novels (huuuge novels, often) entirely out of grace notes. Which is another way of saying that his aesthetic is baroque. I take the force of your distinction between 'the novel' and 'Menippean satire' and think that's right, but we could also bring a work like Deleuze's The Fold to bear on our reading (one of the few books by Deleuze I still think valuable, actually). D. takes 'the fold' as the aesthetic building-block of baroque art and life -- a Mozartian gracenote is a kind of fold, for instance; and Baroque art and architecture is full of folded textures and shapes -- and goes on to theorise it as an entire ontology, where the cosmos itself is forever folding over on itself to turn outside surfaces into inside ones and vice versa. That, though, has nothing to say on the question of whether Pynchon's novels are any good. Hmm. That's extremely helpful, Adam — looks like I have to fold Deleuze into this pudding har har har. But seriously: for some reason, your comment reminds me that when we adjectivize author's names we do so in quite different ways. There are (as someone pointed out long ago, can't remember who) Dickensian characters and Kafkaesque experiences, but never the other way around. When we call something Orwellian we're referring not to anything that Orwell himself did but to abuses of language that he identified. The Wordsworthian is a mode of memory. Etc. etc. And if we speak of the Pynchonian (as Louis Menand does when laments "Pynchonian wallpaper") we're referring to a procedure, as it were, a way of going about the business of writing. Your appropriation of Deleuze's theory of the fold strikes me as coming as close as anything I've seen to putting that procedure in a nutshell. Your recent posts have inspired me to pick up Pynchon, whom I haven't read before. But I have to say, as a fan of David Foster Wallace, his works seem just as relevant to your interest in the relationship between modernity and technology. Obviously, Wallace was deeply influenced by Pynchon, and I can see some resemblances just from your posts (Wallace's works also seem more like satires than novels). Have you considered including DFW in your project? DGL, I admire Wallace (and have written about him occasionally on this blog -- see the tag cloud at right) but I don't think he's a very good fit for my interests here because he's not really historically-minded. He's a brilliant chronicler of the present and some possible futures, but that's not really what I need for this particular project. Alan, your comment about Dickensian characters vs. Kafkaesque experiences is quite illuminating here, though I'd take a slight exception to clarify. Dickens' characters are so memorable because they exist as internally vibrant and consistent individuals - even, I'd argue, the ones that border on caricature. I'd actually argue that Kafka's characters are memorable, but in an entirely different way. Figures like The Office from "In the Penal Colony" will never leave my mind, but not because of their rich inner lives. They are, as you hint, essentially ciphers, but they are memorable because of the external markings they bear from society. To put it another way, Dickens characters can stand on their own, to a certain degree, while the power of Kafka's characters can only be derived from their context in the wider society. I think this internal/external divide, crude as it is, is helpful in understanding the difference between, say, Ulysses and GR (I'm going to stay away from a straight Joyce/Pynchon comparison since I have yet to muster the courage to read Finnegan's Wake, which I suspect might trouble my divide here quite a bit). As wide as the gap is between Dickens and Joyce, they share a similar preference for the internal, for creating characters that seem to stand on their own as fully developed. If, as you argue, Pynchon traffics in Menippean satire, then it makes sense that his characters will be largely marked by externalities rather than rich inner lives. Not saying there aren't exceptions both ways, of course, but as a general principle this seems right. But the divide can also be applied with regards to style, since, I think, style is a more important factor for both books than character or even plot. Ulysses goes beyond most novels that had come before it in terms of stylistic excess, but it is clearly a book that has been meticulously designed as a closed, internal system. If narratives tend to proceed by a sort of code, Joyce has not eliminated that code in the book, he has merely hidden it from plain sight, and made it ridiculously difficult to decipher to the untrained eye. Hence his elaborate reader's guides, which are of course designed to clue the reader in to his authorial cues. That's not to say that there aren't readings that escape the closed system, obviously, but the book stands pretty well as its own piece of architecture. To paraphrase the old Zen adage, if Joyce had written Ulysses and no one had read it, it would still emit a meaning. I'm not certain that's true of Pynchon's works. He seems to be deploying excess to a very different end than Joyce. Adam's point about the Baroque is germane here, but I think it's best tempered by s's comment about Tristero not appreciating puns. As I believe you've pointed out elsewhere, Pynchon's books seem to flirt with the idea of vast conspiracies, but never directly confirm them - there's an ambiguity that might be more unsettling than a direct confirmation of a vast shadow network out to control everything. That would seem to apply nicely to Pynchon's stylistic excess as well. Whereas with Ulysses I almost always feel confidence that the excesses are pointing back to some larger system (even if that's wheels within wheels), there's a certain ambiguity about Pynchon's style that elicits the sort of reaction you point out in your main post. Is it good? Worthwhile? Or just useless? I hope this doesn't seem like too much of a stretch, but I actually think that's a part of the point. The reader has been thrust into the place of many of the characters, trying to discern whether a larger force is at work organizing the proceedings. The "code" of the books is at best indecipherable, and even appears to be nonexistent much of the time. This is of course a sleight of hand, since there is an author at work, but part of Pynchon's power is his ability to spin the illusion of chance out almost to the breaking point. His patterns of excess feel far less discernible than those in Ulysses. To use a ridiculous metaphor, Joyce's stylistic tricks always feel like the illusions of a master magician - you want to know howdeedodat, but you always feel like he's in control. Reading Pynchon's a bit like encountering a blob of radioactive waste that's grown to the size of a skyscraper and become sentient - it feels a bit out of control. Thus, even though both Ulysses and Gravity's Rainbow (and Pynchon more generally) inspire strong reactions, both positive and negative, I'd say that the enthusiastic, cult like responses to both differ in their particulars. I think of the story of the scholar who went to Dublin and timed out the routes of the various characters in "Wandering Rocks" and found that the timing of the crossing of character's paths in that chapter matches up to within a small degree of error. Joyce inspire rabid code cracking, but it's mostly to point out how brilliant Joyce is as a code maker. 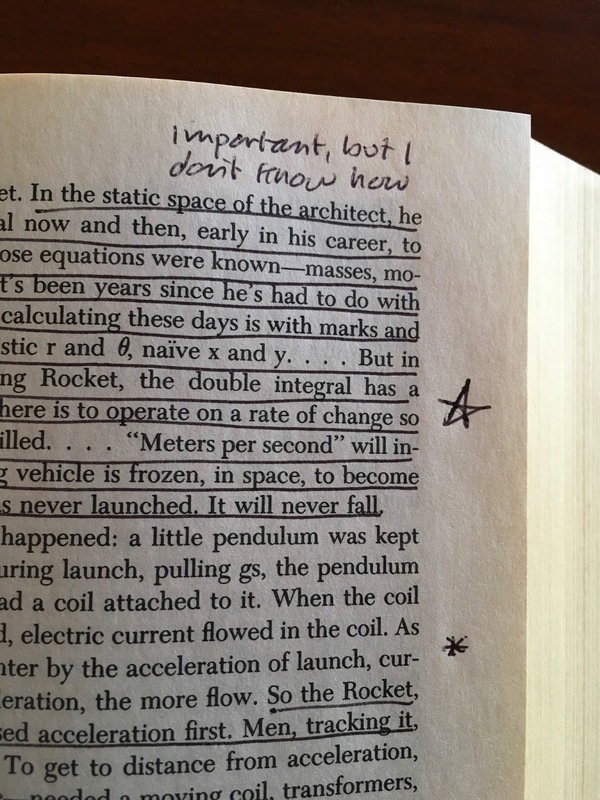 Pynchon, meanwhile, has several different online encyclopedias dedicated to annotating his work, but it feels like a much more scattershot endeavor. Indeed, of making many connections in Pynchon's work there is no end, but there's a large possibility that those who set out to investigate such connections end up in conspiratorial territory. That's what's so attractive about his work for those of us who lean toward code cracking naturally. But of course it also makes for many moments that distort that work - are we getting a signal, or just white noise? 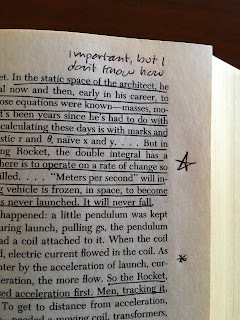 I agree that often these passages have an air of show-offiness about them, but I also tend to think that they might stem from Pynchon's desire to mess with the reader, to make them wonder about connections that may not be there. Asher, I think all that you say is quite good and on the mark. Joyce actually expected that readers would note and follow up on the meticulousness of Ulysses, and when they hadn't done so after ten years he started leaking the organizational principles through his friends Carlo Linati and Stuart Gilbert. I have always wondered whether he would have done the same with the Wake had he lived longer. As you suggest, Pynchon seems to have a deeper investment in covering his tracks. When I reviewed Inherent Vice and Bleeding Edge a few years ago I noted that there are in both books a combination of (a) scrupulous research and (b) deviations from "known facts," in such a way as to keep you wondering whether Pynchon just made some mistakes or, rather, wants to keep us in mind of multiple timelines, alternate histories that deviate only very slightly from our own. With him you never can tell and I don't think he wants you to be able to tell. "I fear I may be hopping on to my old hobby-horse again, but I wonder if baroque elaboration has a different tone or valence on opposite sides of the Industrial Revolution..."
There's a risk I'll hop on a hobby horse of my own, since I spent a time as an enthusiastic reader of Deleuze and although I now tend to think there's by-and-large less to him than meets the eye my enthusiasm for The Fold has remained. I believe it's a book not much liked by actual Deleuzheads actually, in part because it's really just a clever close reading of Leibniz, and although it gestures at some larger concept-inventing brilliance it leaves these as suggestions. But I like that, and it encourages me to agree with you that the Deleuzian fold (perhaps not the same thing as the Baroque as such) does indeed acquire a new valence in the post-industrial era, as Einstein folds space into time and vice versa, and new technologies (such as the one via which we are now communicating) fold together intimacy and distance, subjectivity and objectivity, &c.
My worry with reading Pynchon via all this is that it's almost too easy: what is a rainbow, or a 'V', but a kind of fold? What does Gravity's Rainbow do but fold cause and effect into a strange pli? And so on. It runs the risk of becoming almost a too-pat reading. And looking back, I didn't phrase my original comment very well: I said P 'makes novels entirely out of grace notes', which isn't right. We do end up caring about Oedipa Maas, I think; and there's genuine anticipation, and narrative tension, in the cliffhanger on which that novel ends. So maybe I should say that he (though perhaps not with every novel) assembles his myriad varieties of grace-note into larger structures that do manage to trace out the simpler, beautiful Mozartian through-line. If you see what I mean. Adam, I do see what you mean. There's at least once such line in most (all?) of the books, I think. In GR it's the (doomed) love affair between Roger and Jessica; in Vineland it's primarily Zoyd's love for Prairie. The one book where it seems to me dominant throughout — the melodic line always louder than the counterpoint and the grace notes — is M&D. The one moment in Pynchon that never fails to bring a tear to my eye is when Mason is speechless over Dixon's grave and his son consoles him by saying, "It's your Mate. It's what happens when your Mate dies." Also, your comment is a good example of J L Austin's famous dictum "There's the bit where you say it and the bit where you take it back."